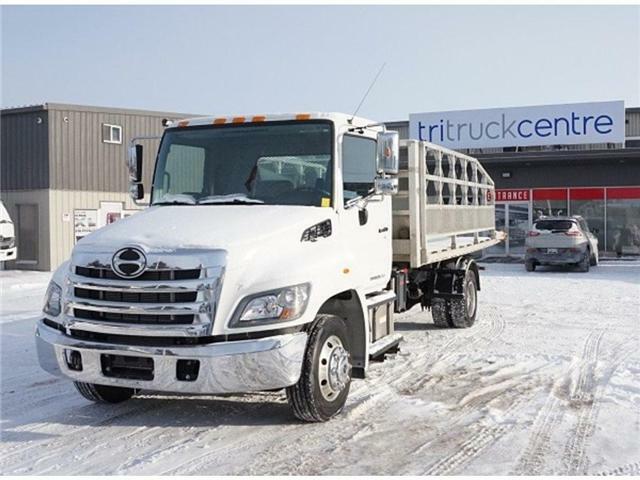 Used 2018 Hino 258 w/XR7L, Toolbox, Pintle Plate & Tow Pkg - for Sale in Barrie | Tri Truck Centre Inc.
Mini Bins or Equipment movers can utilize this just traded in 2018 Hino 258. 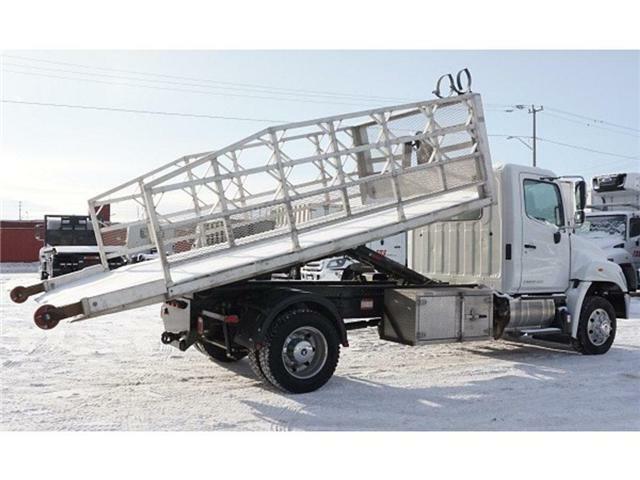 Multilift XR7L system has been installed and completed with fenders, pintle plate, tool box, and tow package. 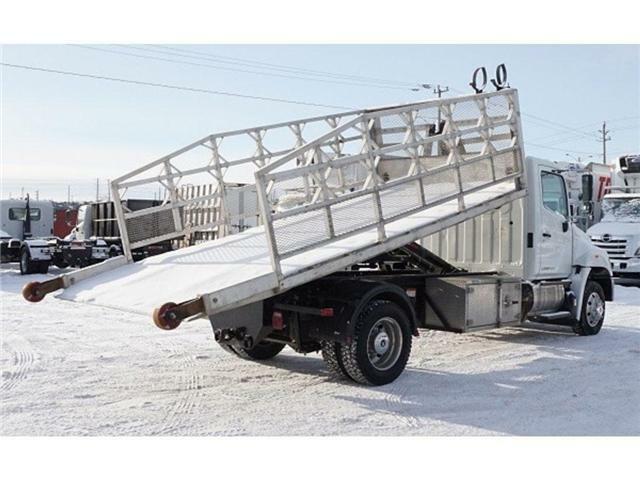 The chassis is also well optioned with air suspension, alcoa wheels, and a GPS Navigation radio. 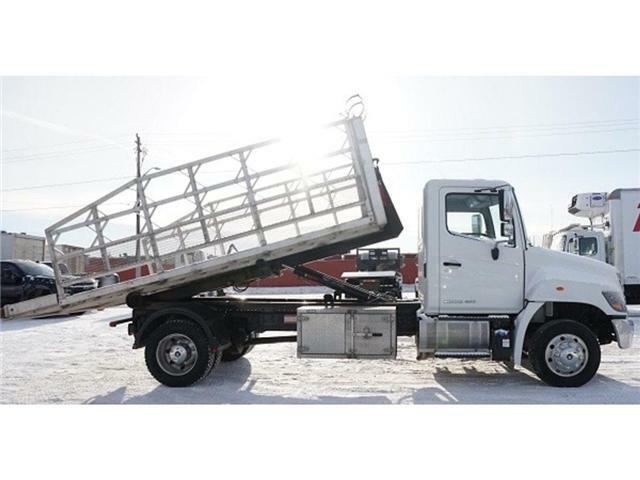 Standard features for the Hino include air ride driver’s seat, tilt-and-telescopic steering wheel, cruise control, air conditioning, power windows and locks, heated and power mirrors, and an exhaust brake. With a “G" class driver anyone can take the truck to the job site. Upgrade to “D" class license to maximize payload. 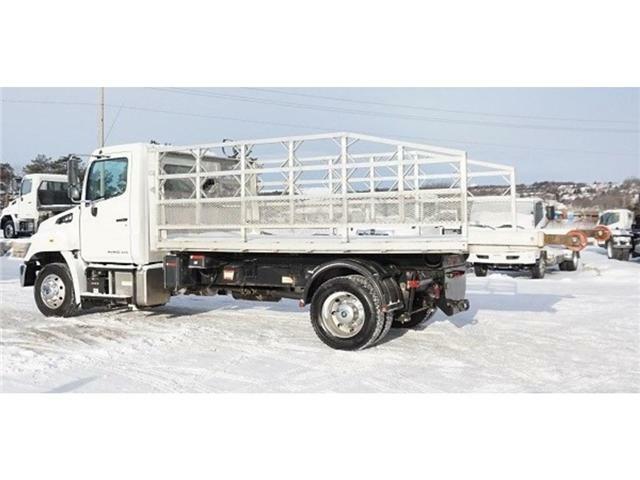 Warranty and Hino’s Premium Protection plan still valid on this truck. 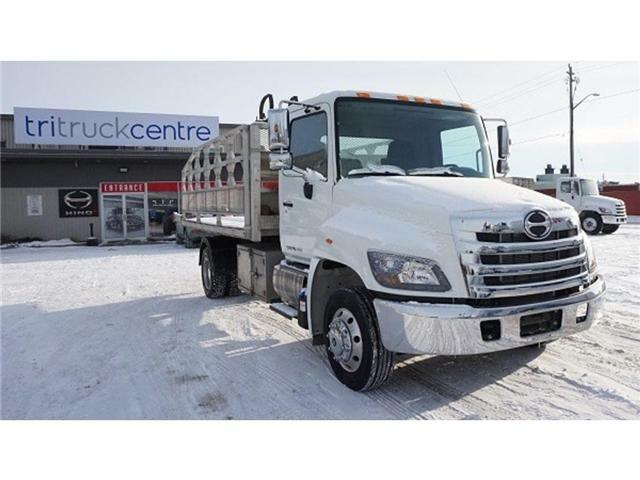 Don’t forget, when you buy a Hino from Tri Truck Centre included with the vehicle is 2 additional years of oil change coverage.